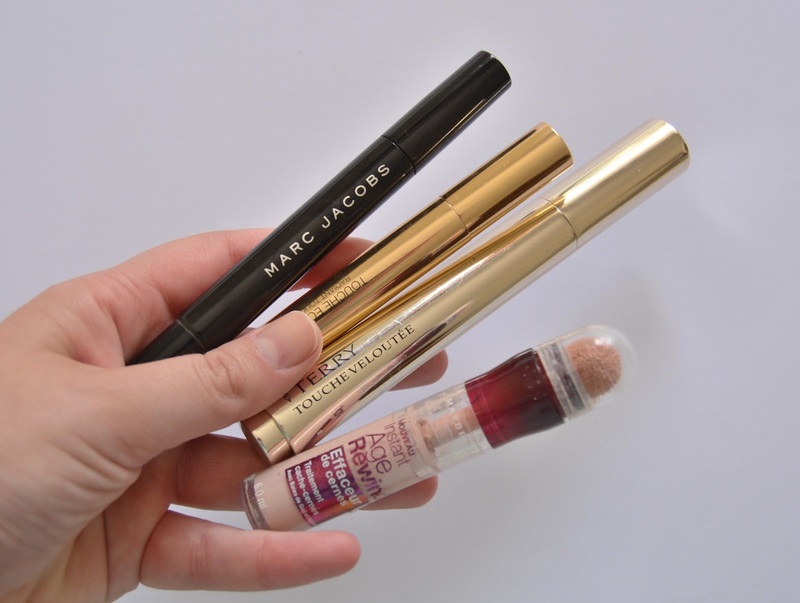 Aqui temos o Marc Jacobs Concealer pen, o YSL Touche Éclat, o Maybelline Instant Age Rewind (60 highlight) e o By Terry Touche Veloutée. estes correctores são apenas para iluminar a área e ajudar a que papos e olheiras mais escuras sejam aparentes. Normalmente, uso-os em cima de um corrector normal para iluminar o olhar nos dias de olheira mais escura. Todos eles são mais esbranquiçados e com um fundo rosa para cancelar a olheira e ajudar a aclarar a zona especificamente. O mais “pesado” é o da Maybelline e o mais natural apesar de eficaz é o da By Terry. Here we have Marc Jacobs Concealer pen, YSL Touche Éclat, the Maybelline Instant Age Rewind (60 highlight) and the By Terry Touche Veloutée. 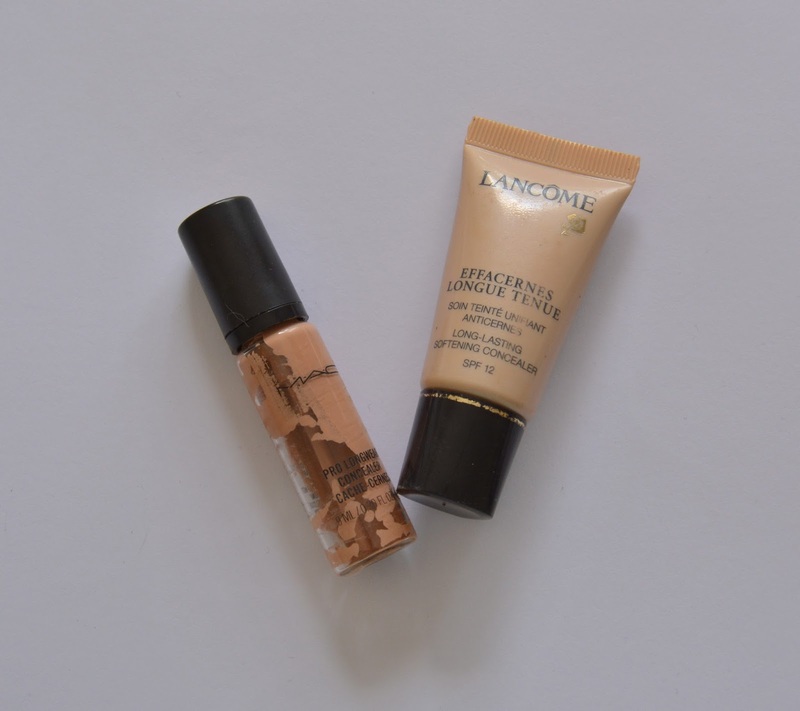 These concealers help to highlight the lowpoint of the eye and brighten dark circles and undereye bags. Usually, I wear this kind of concealer on top on my regular coverage concealer to help me to have brighter eyes on the worse days, when I truly look like a sad abandoned panda. All of the concealers featured are whitish with a pink undertone to them. The heaviest of them all is the Maybelline one and the most natural yet effective is the By Terry one (as it freaking should, due to the price tag). Eu tenho uma olheira de semana de trabalho e outra de fim-de-semana. Simplesmente porque durante a semana costumo usar uma base mais pesada e ao fim-de-semana uso maquilhagem mais leve (quando uso). 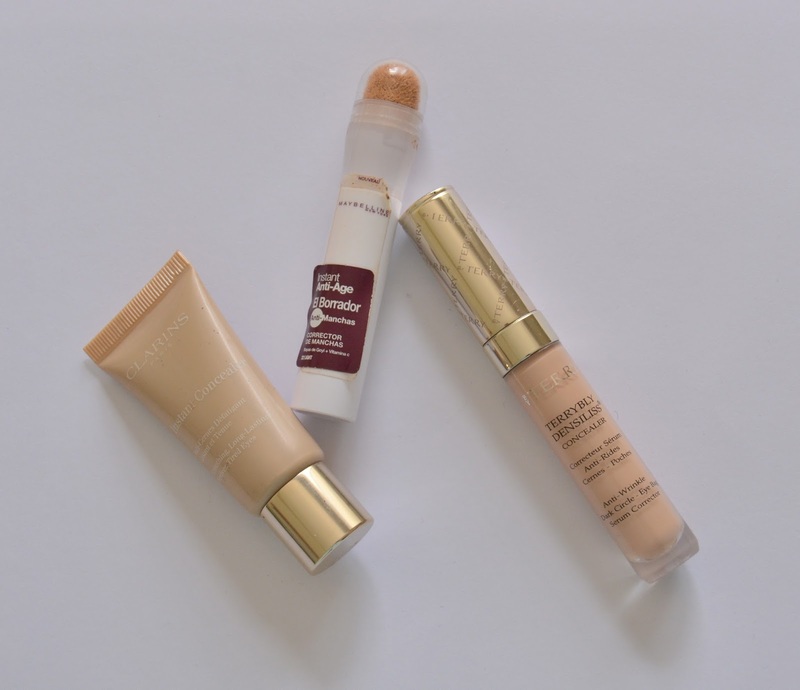 Assim, os meus fiéis cavaleiros ajuramentados para os momentos de angústia são o Maybelline Age Rewind Anti Dark Spot, o Clarins Instant Concealer e o By Terry Terrybly Densiliss. O primeiro diz que é um produto de tratamento, coisa que não confirmo nem desminto, mas cuja cor adoro por ser meio amarelada, no entanto, não o consigo encontrar à venda em nenhum site europeu (help!). Já declarei o meu amor pelo da Clarins na sua respectiva review e o By Terry é a coisinha mais linda que possuo, por ser levíssimo mas, ao mesmo tempo, iluminar bastante. A cor “01 fair” funciona belamente no meu tom de pele. O meu padrão para correctores é basicamente que cubram bem e sejam extremamente hidratantes ao longo do dia, já que a minha pele não suporta bem correctores demasiado secos em redor dos olhos. Yes, I have a “workday undereye bag” because you know, I really just abort the whole sleeping thing during the week. That and I also usually wear an actual foundation during the week instead of a cc or bb during the weekend (if I even feel like wearing anything). So my loyal trusted knights of concealing come to rescue: Maybelline Age Rewind Anti Dark Spot, Clarins Instant Concealer and By Terry Terrybly Densiliss. The first one from Maybelline is supposed to be a treatment, which I can’t really assure you to be true because I never know with makeup if it’s treating something, but as makeup itself it’s awesome and the yellow undertone really does wonders in a very natural way. However, I can’t find it in Europe anymore, I’m not sure why… I’ve already sang my love about the Clarins Instant Concealer as I think it’s one of the best on the market, and the By Terry one is super light but super bright at the same time. My concealer standard is to be natural but at the same time cover and hydrate the skin but not to crease in fine lines. This is incredibly hard to find and these cut the edit for me. 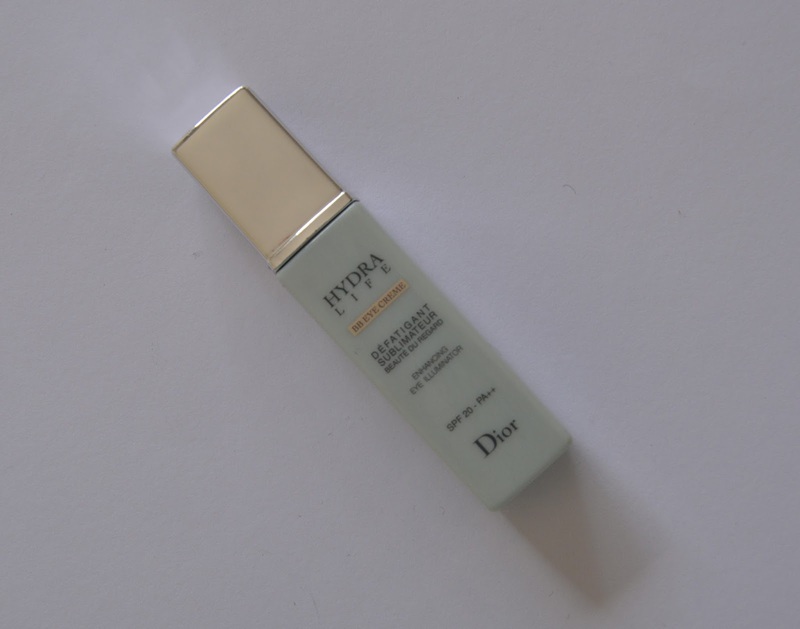 O By Terry Terrybly Densiliss podia estar nesta categoria, se não o usasse tantas vezes, mas esta categoria consiste em correctores leves mas iluminadores como o Dior Hydra Life BB Eye Creme. Tem um subtom meio alaranjado e é eficaz só em pouca olheira, embora bonito e pareça pele. The By Terry Densiliss could be in this category, if I didn’t wear it as often as I do, but this category consists in lightweight but a little brightening concealers like the Dior Hydra Life BB Eye Creme. It has an orange undertone and it’s only efficient in a very slightly dark circle, with the bonus of skincare benefits. Sim, isto para mim é uma cena. Porquê? Porque a pessoa existe e, consequentemente, transpira. Assim no sol tórrido, às vezes é preciso vir um MAC Pro Longwear em NW20 ou um Lancôme Long Lasting Softening Concealer em “02 beige sable”, as minhas cores de Verão. Ficam óptimas opções para estas situações. Yes, it’s a thing! Why? Because I sweat therefore I am, in the summer in Portugal. That’s when the MAC Pro Longwear in NW20 or the Lancôme Long Lasting Softening Concealer come in handy because there’s nothing sexier than sweating your base off. Not. Toda a gente tem “situações” na cara que gostaria de disfarçar, tenho a certeza! Assim, quando preciso de correcção de olheiras quase negras depois de uma noite péssima, vale-me o Benefit Erase Paste por ser cor-de-laranja e concentrado, por debaixo do meu corrector normal. 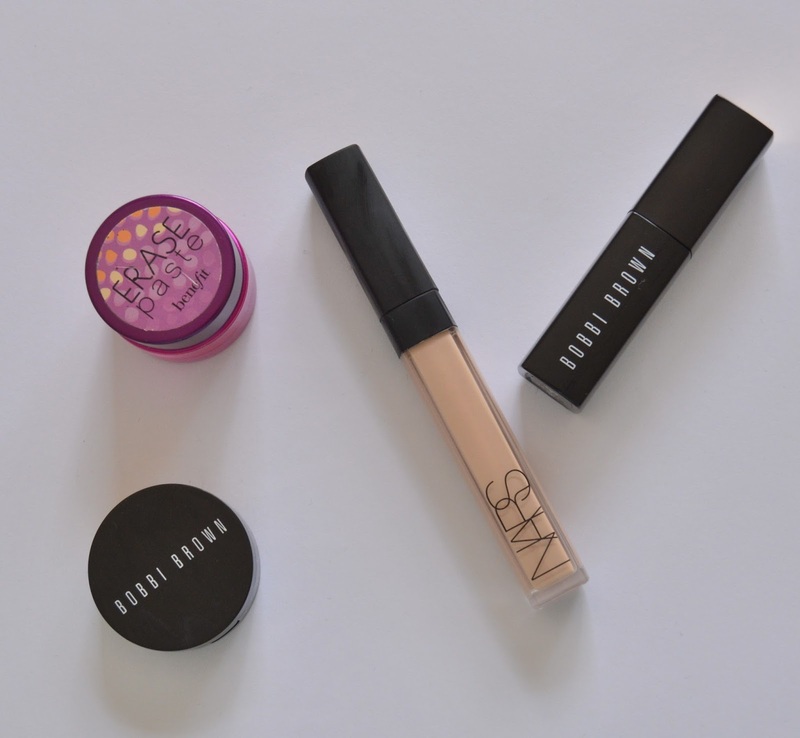 Quando tenho uma borbulha feia feia, a minha pele gosta do Nars Radiant Creamy Concealer, (que os meus olhos consideram demasiado seco, ao contrário da maioria da população mundial) ou o Bobbi Brown Creamy Conceler que considero demasiado cremoso para debaixo dos olhos por se acumular nas rugas, mas funciona lindamente no rosto. Como sofro de eczema, ultimamente tenho usado o Bobbi Brown Intensive Skin Serum Concealer como cobertura, por ser super hidratante e algo amarelo, embora as cores que a marca tenha trazido para a Europa não seja para gente pálida. E vocês, também têm correctores para diferentes situações? Everyone has a little something on their face that they’d like to hide, I’m pretty sure! So, when I need some heavy duty colour correcting, I go to Benefit Erase Paste because it’s really orange and highly pigmented, under my normal undereye concealer to give it extra humpf. When I have a really nasty breakout, I usually go to Nars Radiant Creamy Concealer (that is just too drying for my undereyes, contrary to popular opinion) or to Bobbi Brown Creamy Concealer, which to me is too slippy as an undereye and accumulates terribly, but works really well in the face. As my eczema has been acting up, I find myself reaching for the Bobbi Brown Intensive Skin Serum Concealer almost on a daily basis, as it’s really moisturizing and somewhat yellow, although the colour selection of the product is really disappointing for pale people here in Europe. 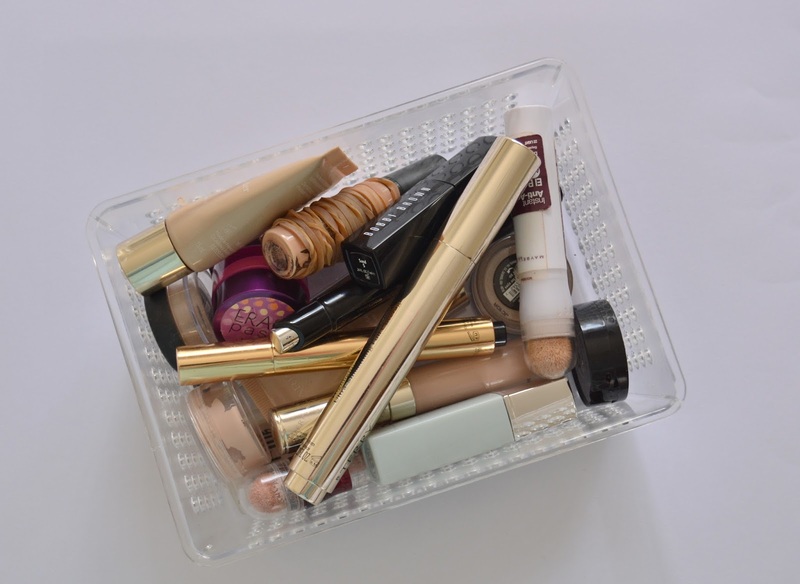 How about you, do you also have different concealers for different problems?